Adam Parsons, Business Correspondent for Sky News complains that the profession of journalism has never faced greater scrutiny. He blames first of all “fake news”. “It’s an expression that started life as a principled investigation into websites that peddled lies dressed up as the truths and was then appropriated by the President to pour contempt on reporters and facts he didn’t like,” laments Parsons, whilst forgetting just how many years fake news (or misinformation, disinformation or propaganda) has been propelled by his ‘Fleet Street’ colleagues. He also detests the phrase “mainstream media,” and then blames, well, everyone else. 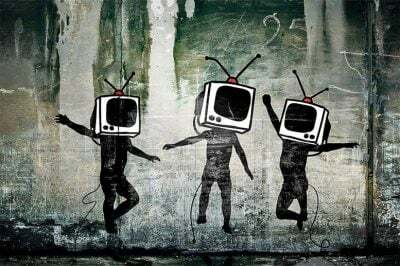 “that the news is too biased, and that the news itself is controlled by “hidden agendas”. These are hardly the ringing endorsements of the “best media in the world” are they? From just about every subject you can think of affecting civil society, such as the alarming emergence of discrimination and racism, its hardly surprising that people, in general, do not trust the mainstream media as a whole when it’s largely the media stoking it all up in the first place. To take one example of many – let’s look at the gas attack in Douma that ended with the bombing of Damascus by Britain, France and America. And let’s not forget, this incident has taken the whole world to the very brink of an international crisis that could have led anywhere and it was unanimously supported by the mainstream media. Ann Wright – served 29 years in the US Army/Army Reserves and retired as a Colonel. She was also a US diplomat and was in US Embassies in Nicaragua, Grenada, Somalia, Uzbekistan, Kyrgyzstan, Sierra Leone, Micronesia, Afghanistan and Mongolia. She resigned from the US government in March 2003 in opposition to the lies the Bush administration was stating as the rationale for the invasion, occupation and destruction of Iraq. Wright has a CV, personal knowledge and experience far greater in depth than the vast majority of mainstream media journalists. She wrote a piece for Consortium News highlighting her belief that the White Helmets is a propaganda outfit, not a humanitarian one and therfore doubts the veracity of evidence provided by them as to the gas attack. Wright also refers to Max Blumenthal, an American author and journalist. He is a senior writer for Alternet and formerly a writer for The Daily Beast, Al Akhbar, and Media Matters for America. His father was a writer and former aide to President Bill Clinton and aide to Secretary of State Hillary Clinton. Blumenthal ended his association with Al Akhbar in June 2012, over what he viewed as the newspaper’s pro-Assad editorial line during the Syrian Civil War. There is hardly a greater demonstration of his views here. He is no ‘Assad apologist’ – as the mainstream media like to brand these oppositional voices today. But even he reported that the White Helmets were created in Turkey by James Le Mesurier, a former British MI5 agent and exposed that the group has received at least $55 million from the British Foreign Office and $23 million from the U.S. Agency for International Development as well as millions from the Kingdom of Qatar, which has backed a variety of extremist groups in Syria including Al Qaeda. Based on the evidence of social media and media clips shot by ‘The White Helmets’ rather than wait for the arrival of a team of experts from the Organization for the Prohibition of Chemical Weapons to assess whether chemicals had even been used in this latest incident, Trump gave the order to bomb. The same happened the year before. When it was all over the first time around, US Defense Secretary James Mattis dropped a political bombshell when he said the U.S. has no evidence to confirm reports that the Syrian government had used the deadly chemical weapons on its citizens. The mainstream media were silent with this news. Peter Hitchins wrote a piece about how the mainstream media were covering the gas attack. For that Hitchins was roundly attacked by many, including the media. He has robustly responded. Another accused ‘Assad apologist‘ happens to be twice winner of the British Press Awards‘ Journalist of the Year prize, and seven-time winner of the British Press Awards’ Foreign Correspondent of the Year – Robert Fisk. He has been Middle East correspondent since 1976 for various media; since 1989 he has been correspondent for The Independent, primarily based in Beirut. Just to be sure of his credentials though, he has lived in the Arab world for more than 40 years, covering Lebanon, five Israeli invasions, the Iran-Iraq war, the Soviet invasion of Afghanistan, the Algerian civil war, Saddam Hussein’s invasion of Kuwait, the Bosnian and Kosovo wars, the American invasion and occupation of Iraq and the 2011 Arab revolutions. There’s no doubting this man’s C.V.
For this, Fisk was practically branded a traitor – by none other than – Fact Checkers. But for some balance, here’s Snopes the FactChecker embroiled in their own secrecy scandal. Pearson Sharp of One America News reports on battlefield conflict and specialises in the Middle East. He also interviewed doctors and witnesses at the clinic. They also said there was no chemical attack and that strangers came into the clinic and shouted “Gas!” and filmed the reaction. Again, the mainstream media never referred to this eye-witness evidence on the ground. Ex British ambassadors Craig Murray and Peter Ford, both with extensive experience in the region have been heavily criticised, especially by the mainstream media for attempting to calm the situation by confirming that there was no real hard verifiable evidence of gas attacks perpetrated by the Syrian regime and therefore no reasonable, justifiable reason to carpet bomb areas of Damascus. In fact, the only evidence that is actually available to everyone is that the gas attack claims are not to be trusted, the sources of what the US and UK governments are referring to are not to be trusted either. Did the mainstream media outlets not learn from their catastrophic errors in unquestioningly being co-opted by Tony Blair and his raft of lies when Britain engaged in its worst post-war foreign policy decision – to set the middle east on fire. This they blatantly did in the face of the world’s biggest anti-war demonstrations. They repeated this same old playbook of deceit and propaganda when it came to Libya. How does the saying go – rinse, wash, repeat. This is why the mainstream media are not trusted anymore. We’ve heard it all before. They are losing the informational war, they know it and are complaining about it. Parson’s should try to understand the terrible situation the British media has got itself into and offer some honest advice based on experience, not cry into his cornflakes that no-one loves him or his colleagues anymore. From voices as diverse and distant as Malcolm X to today’s Jimmy Wales – criticism of mainstream media deception has been rife for decades. But the pinnacle of their mendacity and treachery to ordinary people across the Western world was Iraq. It was without a doubt the defining moment of its departure from reality. And quite rightly so. The ‘mainstream media’ have an incredible amount of work to do to win back ‘hearts and minds’. Adam Parsons and Sky News are not meaningfully contributing to that struggle with this weeping hit piece that is, sadly, way off the mark.